First let me tell you about an awesome competition that Wild! Science are currently running, it's absolutely terrific and such a great opportunity for young scientists, here are the details, find out how to apply here. 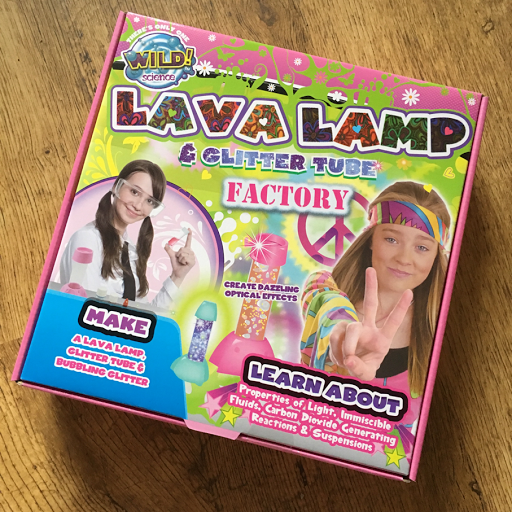 Last week T was very poorly, however, he was missing school and really wanted to 'do' something, luckily we had been sent this fabulous Lava Lamp & Glitter Tube Factory from Wild! 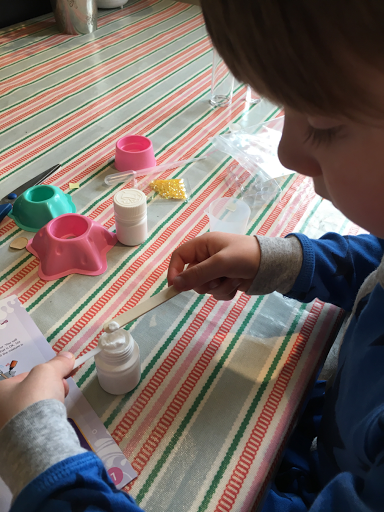 Science, which I thought we could try out as an educational and fun activity whilst he was missing school. 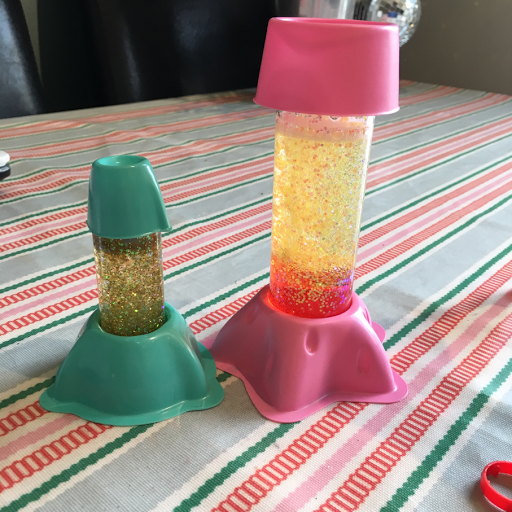 The set came with almost everything needed to create both a lava lamp and a glitter tube, all we need to add was water and oil and T added even more glitter! T donned his gloves and set to work making his lava lamps! 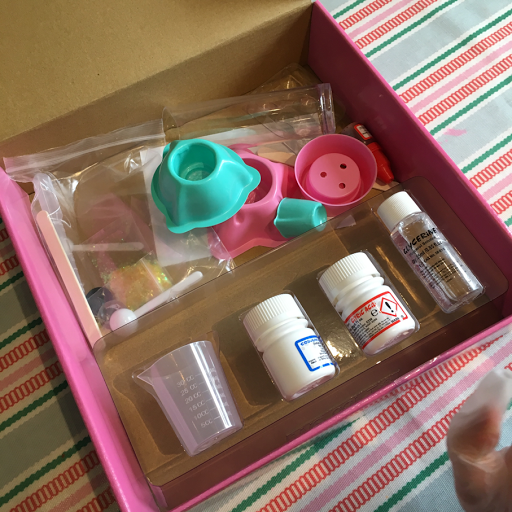 We first made the glitter tube which is simply made from a bottle of glycerine and adding the special glitter. T measured out all the relevant chemicals carefully and did a great job. 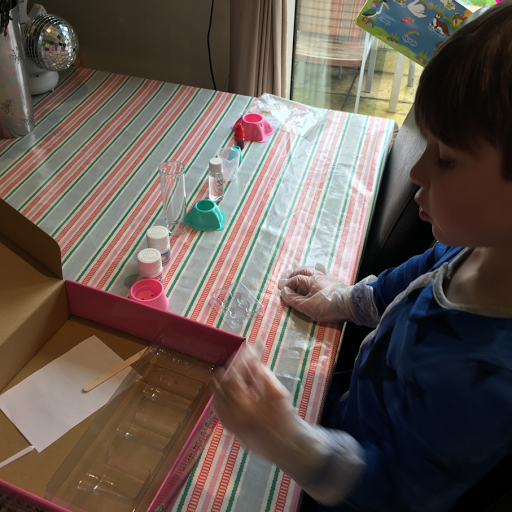 Here he was making the tablets to drop into the lava lamp to make a fizzy chemical reaction between the acid and base, this produces bubbles of carbon dioxide gas which break through the glitter and oil creating a spectacular effect that looks just like an underwater volcano! We added lots of more glitter but each piece of the enclosed glitter is a tiny mirror that reflects light and with lots of tiny mirrors, the light is scattered in all directions to create a sparkling effect, ours we're *really* sparkly and shiny! Disclaimer: this is a sponsored post for Wild! Science.